Essences - Add a new dimension of flavor and scent to your meals with our collection of aromatic rice. 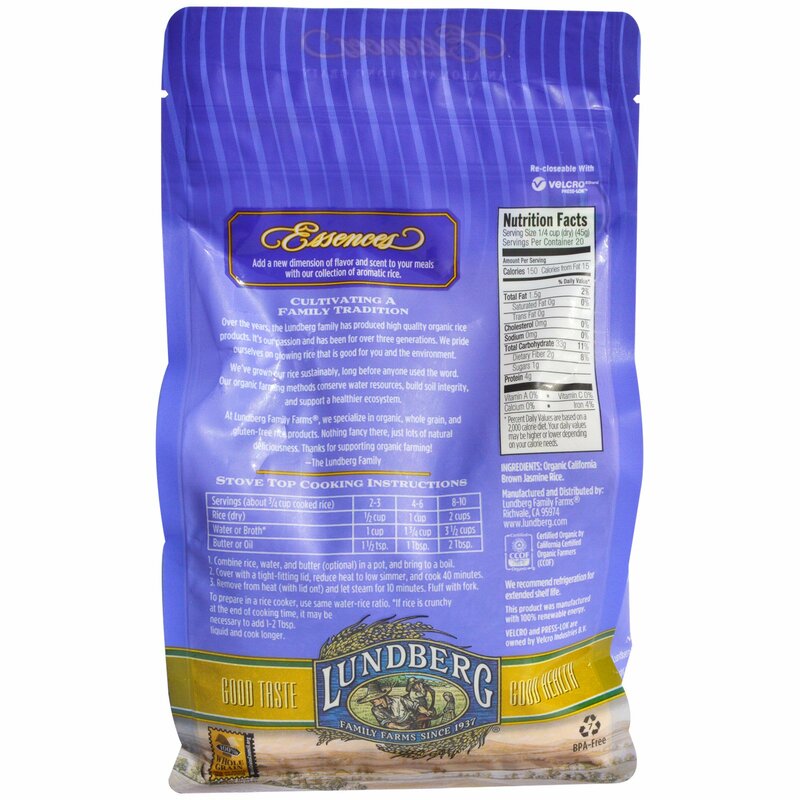 Lundberg Family Farms supports the consumer's right to choose foods that have not been genetically modified. This product has been produced in accordance with the best practices of the Non-GMO Projects Standard. Butter or Oil 11/2 tsp. 1 Tbsp. 2 Tbsp. 1. Combine rice, water, and butter (optional) in a pot, and bring to a boil. 2. Cover with a tight-fitting lid, reduce heat to low simmer, and cook 40 minutes. 3. Remove from heat (with lid on) and let steam for 10 minutes. Fluff with fork. To prepare in rice cooker, use same water-rice ratios. *If rice is crunchy at the end of cooking time, it may be necessary to add 1-2 Tbsp liquid and cook longer. 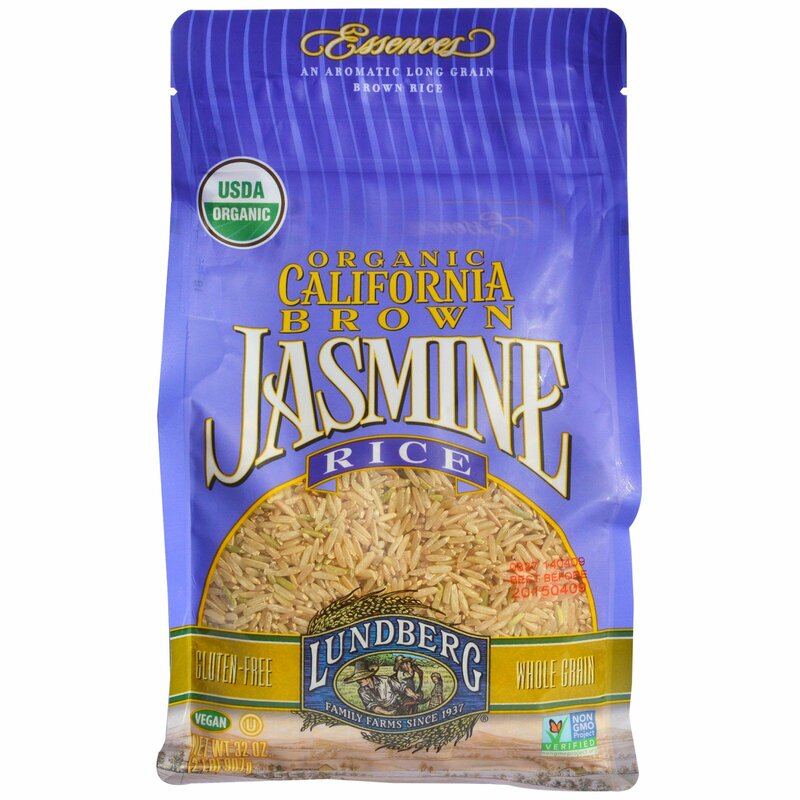 Organic California brown jasmine rice.